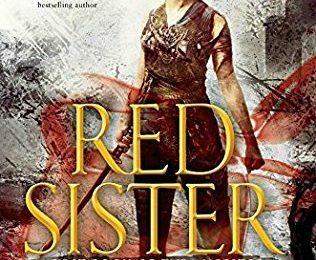 Book Review - Red Sister by Mark Lawrence - Honk if you love justice! Red Sister is the start of the latest series by Mark Lawrence, who I was previously aware of but hadn’t yet read. When I saw this was book one of a series and available on Netgalley, I went for it. What I found was a bloody story of revenge, bathed in the mysticism of a dying world. Nona, our heroine, is set to be hanged for murder when a Sister from the Convent of Sweet Mercy takes her away to join their order. There, she learns that she and many of the other nuns have aspects from one or more of the “old bloods”, powers that come from the four races of the world. Her hunska blood, for example, basically puts her mind in hyperdrive so she moves and reacts faster. Think bullet-time, but only for short bursts. A person with all four bloods is highly sought after – there’s a prophecy, though the Sisters have a cynical view of them, as most prophecies are political distractions. Despite the desperation of the world, your typical school trappings are there. There are strange teachers, including the poison master who delights in poisoning new students. There are bonds of friendship, rivalries, and fights. Through all of this is a family seeking revenge against Nona (that’s why she was headed for the noose), and the political machinations of a dying empire. I enjoyed the book quite a bit by the end, and if there was one complaint, it’s that there are so many murder-nuns in it that it can be difficult to keep track of them all, save for Nona herself, who is basically X-23 in a weird failing future fantasy world. Definitely worth a read if any of this sounds like it’s up your alley. Red Sister is out now via the usual suspects, including Amazon.